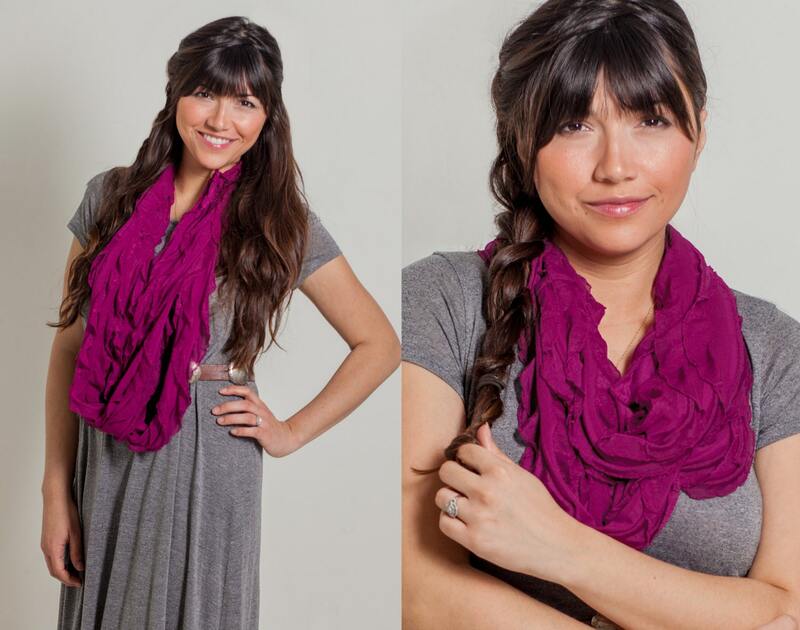 The Infinity Ruffle Scarf is handmade by refugee woman who have fled from war-torn countries and now live in Dallas, TX. Our scarves are extra-long and sewn in a continuous loop, allowing them to be styled in various ways. 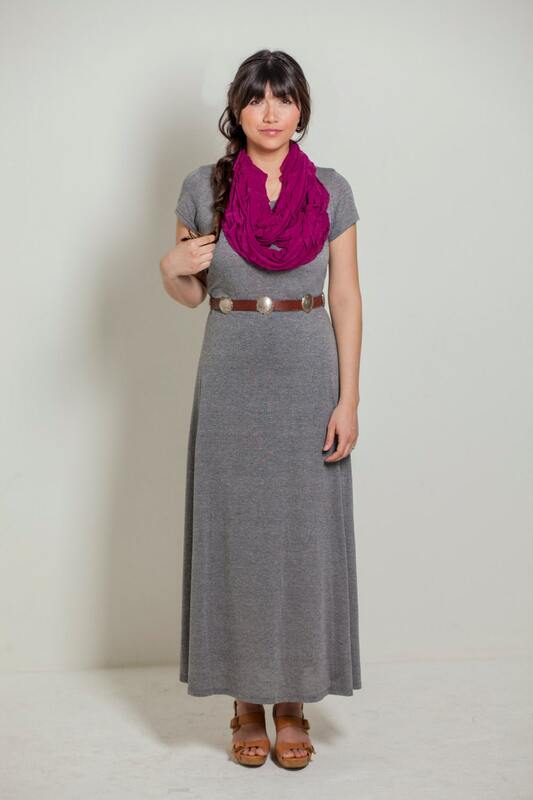 You can wear it long (looped twice) or short (3-4 loops), along with several other possibilities! They are incredibly lightweight and can be worn with a dress or a t-shirt and jeans. 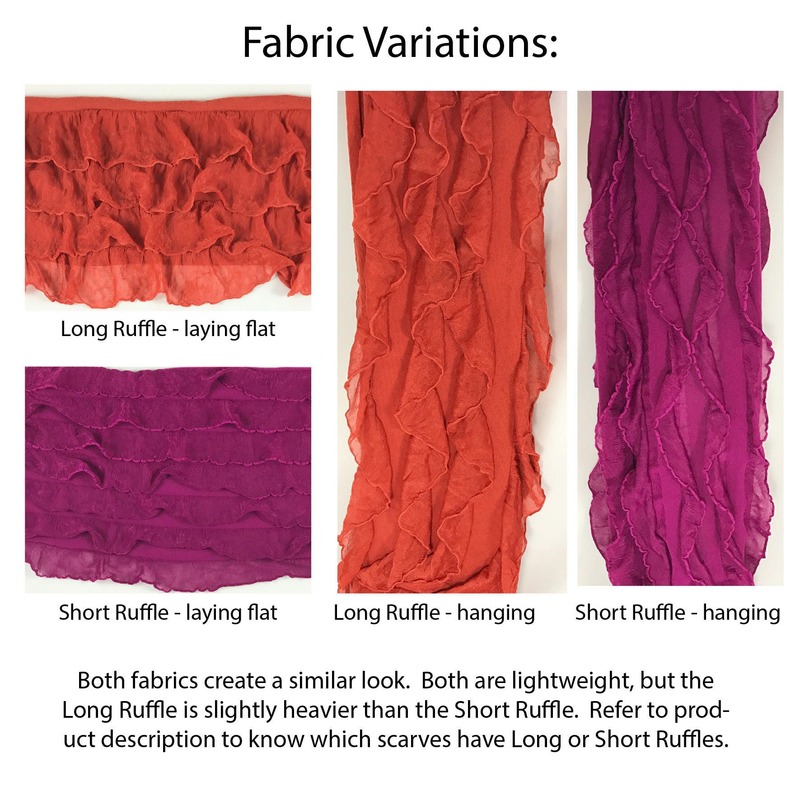 ** Refer to LAST PHOTO to see the difference in ruffle types, we have a long ruffle and a short ruffle. There may be variation in the sewing methods used to create the scarves (i.e. some have tags, some do not – edges may be sewn differently). This is due to the scarves being sewn by different women, using different sewing methods. All scarves are great quality and create the same effect!